California DCFS violation,per suit filed pro-se by deadline,when a 'lawyer" do not care to do what is right,by representing the innocent. If our amazing astute 1 of a kind woman, our owner/founder who applied at law schools in california to east coast, non-stop,now preparing to implement a law degree, juris doctor,if she was able to properly file her suit timely by DEADLINE,without a lawyer,and did not look back,but pushed forward for her justice as an American citizen who vow to NEVER give up just because an indolent, un-astute "lawyers" attempted to tell her,she was not able to sue, just because no lawyer care enough about you to represent you,do not mean you're not able to sue and present a strong arguement insofar as why you're suing,why you're entitle to have your day in court, and why you're, as an American Citizen going to continue to FIGHT, and not just fight,but fight HARD. Any one can put up web page and bemoan, and complain, "talk." But real winners are those who take on the challenge,and apply strategic-action available when violated and hold those accountable when your rights are clearly violated." Help form? Click here. ​Hear the facts. Weigh the evidence.Return a result in favor of the family,if you're agreeing insofar as liability; per cause of action,claim being filed against the agency individual defendants who for years,engaged in the unthinkable,while 2 little once happy healthy girls,sister's simply wanted to exercise their constitutional right,and go back to a happy beloved placed they know as home. 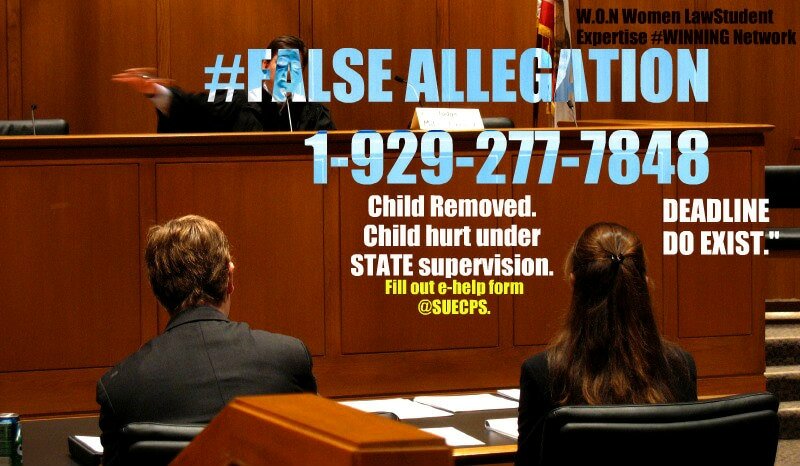 CPS made sure,it would not happen. #DCF-THEMOVIE coming soon. Parent is at the recording studio in nyc working on a spanish hip hop and american pop cd,as she has done since age 12, model, actress auditions and had no clue what DCF(dcpp)dyfs,was doing and just how bad her girls lives as hers would forever change. Later,she return back home and goes to her other (main career/job)working in Real Estate/Mortgage industry. Her girls,were due home by 7 p.m., weekend of the fourth of july. CPS was called while mother had not been told by social worker anything. Family reside in a suburban part of the NJ/DE tri-state area,outside of New York City,PA., et.al., and the child simply never returned. Child was said to have been brutally beaten.Yet, the child was only lightly discipline. (spanking) for which again left no bruising and is legal to spank lightly a child (discipline)in such state. No injuries,no bruising on the child whatsoever.Both girls, had a life prior filled with such happiness,hope,faith,belief in GOD,and a strong bond with a hard working loving mother,who was mother and father to both since birth,and since the mother's divorce.Mom never even smoke a cigarette,let alone drugs/alcohol. DCF did not care.Took the girls.Introduce both to a life not fit for any child in our society. Parent was a lovely well spoken woman, as cited verbatimin a report later discovered,in a chock-full of docs found in a box never seen before!Caseworker reports also withheld cite,"
Child can go home to mom." 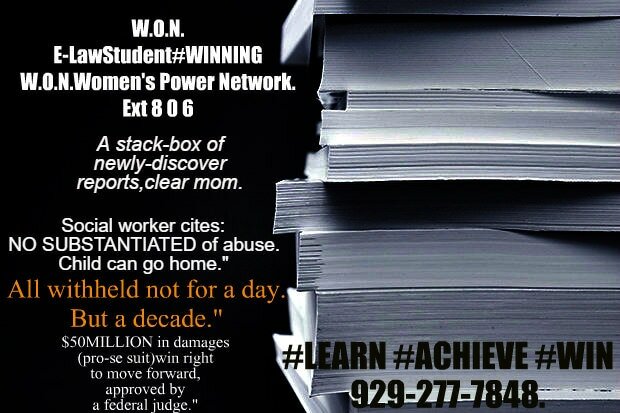 No abuse substantiated/nor proven.Not even neglect. DCF hid it all.No conscience.No care.Hid it all. (Until later found,bombshell after bombshell. )Smoking gun has finally been discovered,and support such malfeasance,and civil rights most warranted lawsuit pursuant to Section 1983,85,86 federal lawsuit,also state common law claims,and various torts et.al., insofar as the right NOT to be deprived of one's American family,as this family,experts coast to coast agree, have been violated. As a result of almost 8 years of misconduct,sadly the little girl now a teen child,was lost...Some experts say,forever.Parent applied at law school to procure her juris doctor/law degree.Inspiration for all "truly" violated, while helping those who are suing pro-se as her family has done." Inspiration for the one's forgotten, the wrongfully accused, in CALIFORNIA,to NJ/DE,to NYC,PA.,Maryland,W.VA.,to NC.,SC.,Arizona.Nationwide.